The Orenda Tribe reached out to me on social media one sunny day last summer. After scrolling through their Instagram feed I thought, "Wow! 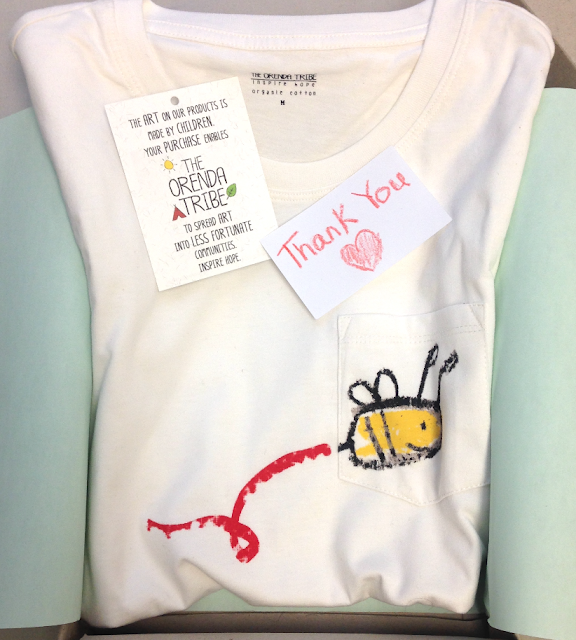 What a cute idea, fundraising for kids art programs by putting the art they create on the clothing they sell". I was interested in working with them because art played a huge part in my childhood. It was the only subject in school I felt I was good at. It gave me confidence and creativity that has taken me so far in life. I honestly don't know who I would have become without it. 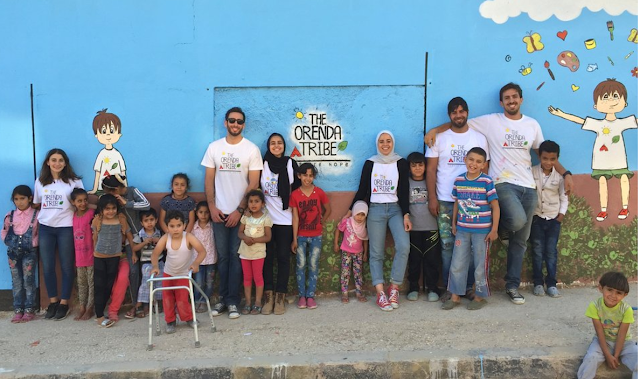 As if that wasn't reason enough, I learned WHERE The Orenda Tribe was located and the positive impact they were having on children in refugee camps and communities amidst the ongoing conflict in the middle east. 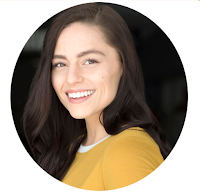 The word ORENDA (oh-ren-duh) is a noun, meaning a mystical force present in all people that empowers them to affect the world, or to effect change in their own lives. This single word seems to encompass the Founder of Orenda Tribe's story and mission perfectly. After two years of soul-searching, as an entrepreneur and traveling to serve with a South African foundation, improving the lives of orphaned and vulnerable children, Zaid decided to quit his comfortable day job as a general manager at a logistics company in Jordan. 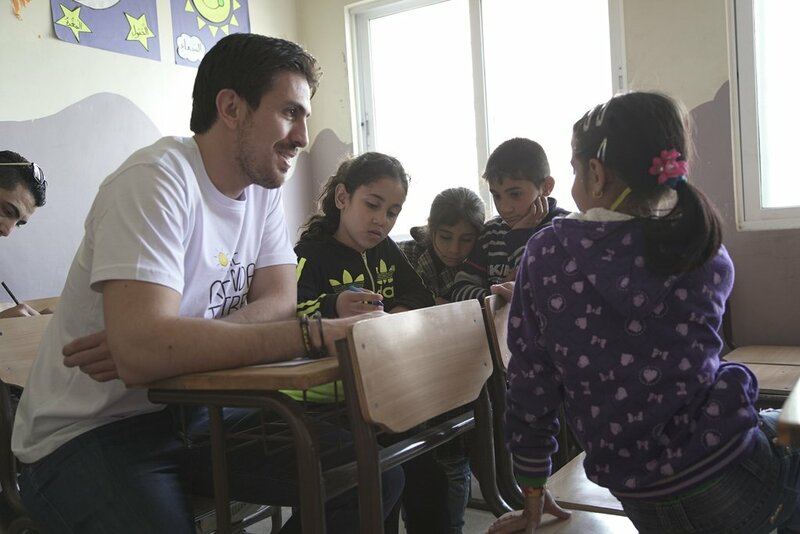 He recognized the dire help needed in his region and decided to pursue a purposeful life, helping the youth of his community to play and laugh like kids again. 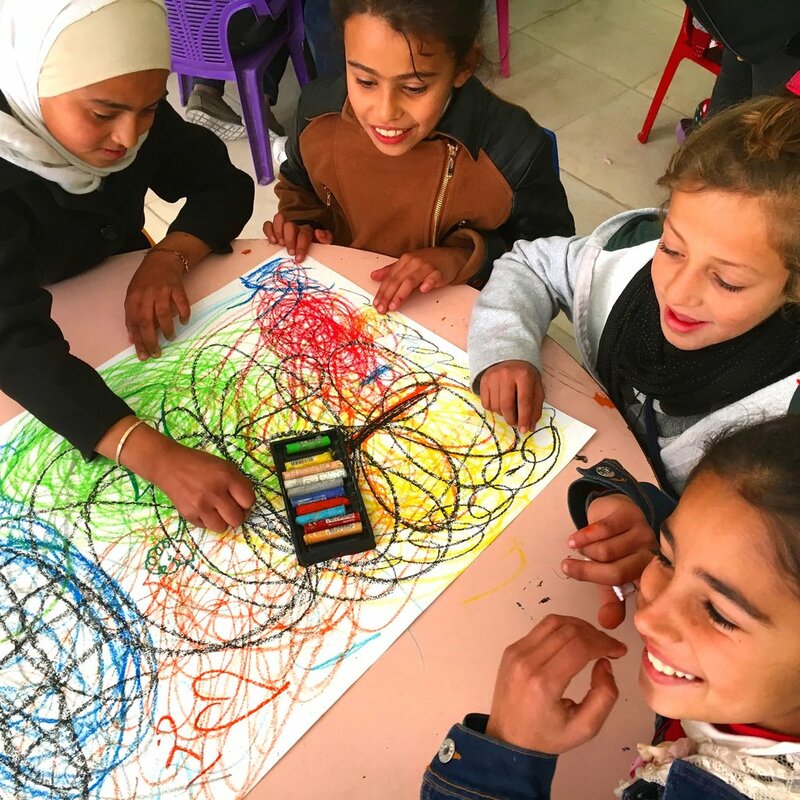 Although art is a neglected subject in most distressed communities, Zaid saw its value in developing life skills that would allow the children to build a better future for themselves and their families. Skills like creativity, problem-solving, communication and confidence; and that ART simply spreads smiles and happiness into kids lives. 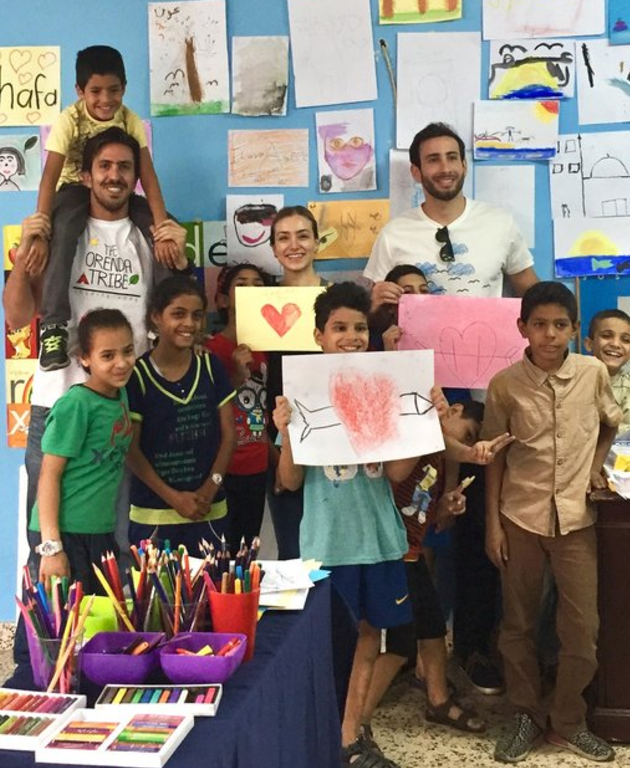 With such instability in daily life and traumatic events this sort of therapy could be life saving, life changing, and at very least, provide some relief and hope for the children in these conditions. I have so much respect for Zaid and his cause. 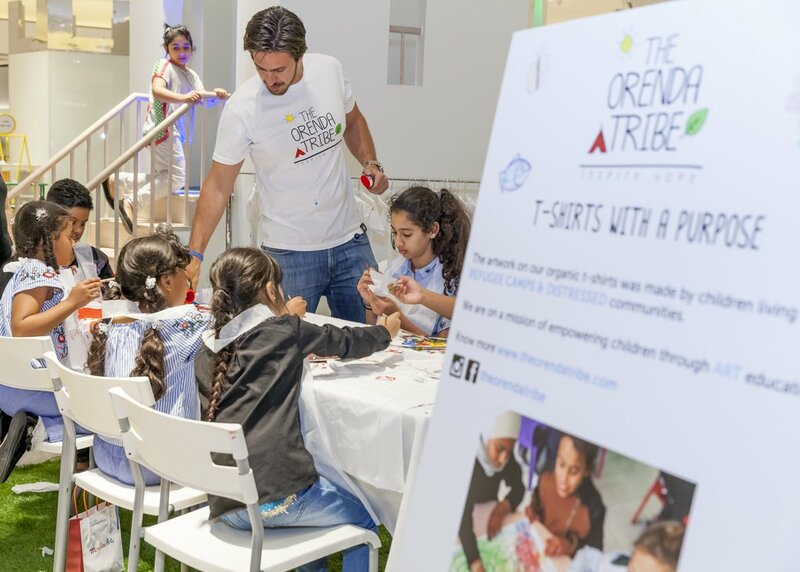 I am more than happy to support The Orenda Tribe by wearing this adorable, fitted, organic cotton T-shirt. The art is SO cute and simple. It pairs perfectly with any shade and style of jeans.